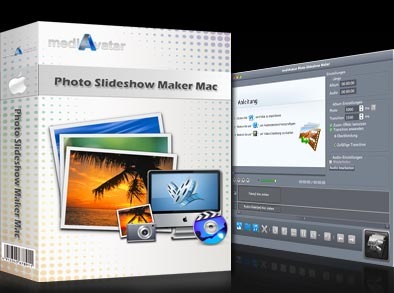 You choose the photos, pick the songs, let mediAvatar Photo Slideshow Maker Mac create a magic photo slideshow for you on Mac! Put your party photos or photos on the journey together (in whatever photo formats: jpg, jpeg, png, gif, bmp, tiff, xbm, xpm) and make these photos into stunning flash video slideshow with music. Pick your favorite songs and insert them into your photo slideshow Mac. Any popular audio formats can be loaded: AAC, AIF, AIFF, AC3, APE, AU, FLAC, MPA, MP2, MP3, OGG, RA, WAV, WMA, etc. Choose photos, pick songs, and hit one button to make a flash photo slideshow on Mac! Never been easier! Adjust the orientations of imported images freely: turn left/right, flip, mirror or rotate automatically. Apply zoom effects and transitions to the photo slideshow, making photo switching smooth and natural. Pick your favorite songs for the photo slideshow Mac, trim the music segment to your taste for a series of photos, apply different music to party photos, European vocation photos or else, and optionally set loop mode. Sort your photos by name, type, date or size ascending or descending, making photo arrangement easy and fast. 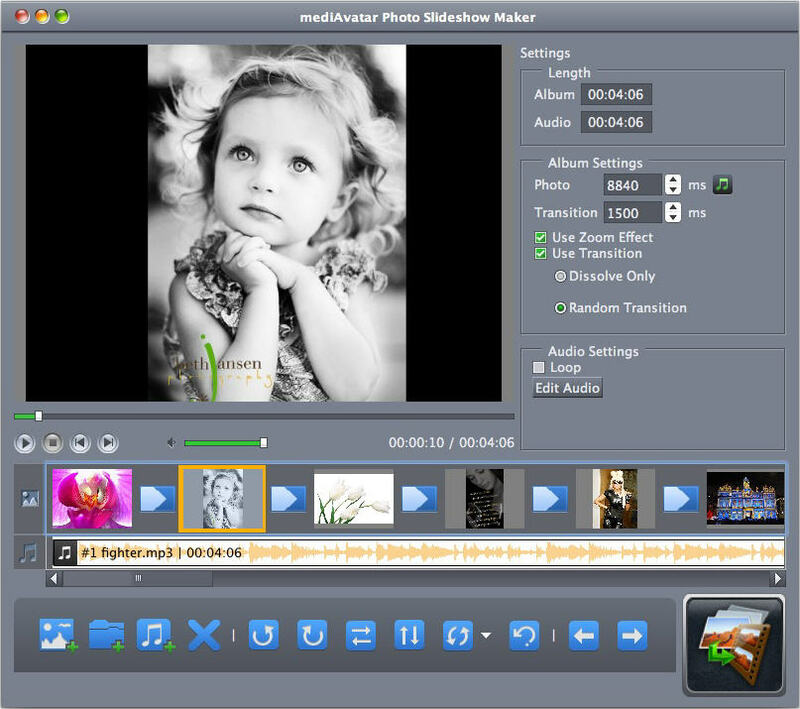 This photo slideshow maker Mac is available in English, French, Italian, Spanish and German interface languages.